Extending noninvasive prenatal screening to all 24 human chromosomes can detect genetic disorders that may explain miscarriage and abnormalities during pregnancy, according to a study by researchers at the National Institutes of Health and other institutions. Because of the way data have been analyzed, typical genomic tests performed during pregnancy have targeted extra copies of chromosomes 21, 18 and 13, but rarely evaluated all 24 chromosomes. The study findings, which appear in the August 30 issue of Science Translational Medicine, may ultimately improve the accuracy of these tests, including by explaining why some give false-positive results. Women often request noninvasive screening tests to detect genetic conditions. These tests, however, typically focus only on Down syndrome and other common trisomies. A trisomy is a condition in which there are three instances of a certain chromosome instead of the standard two. “Extending our analysis to all chromosomes allowed us to identify risk for serious complications and potentially reduce false-positive results for Down syndrome and other genetic conditions,” said Diana W. Bianchi, M.D., senior author of the study and chief of the Prenatal Genomics and Therapy Section at NIH’s National Human Genome Research Institute (NHGRI). Dr. Bianchi is also the director of NIH’s Eunice Kennedy Shriver National Institute of Child Health and Human Development (NICHD). The investigators analyzed DNA sequence data from nearly 90,000 samples of maternal plasma, the liquid portion of blood after all cells have been removed. Of these samples, 72,972 came from a U.S. cohort and 16,885 came from an Australian cohort. 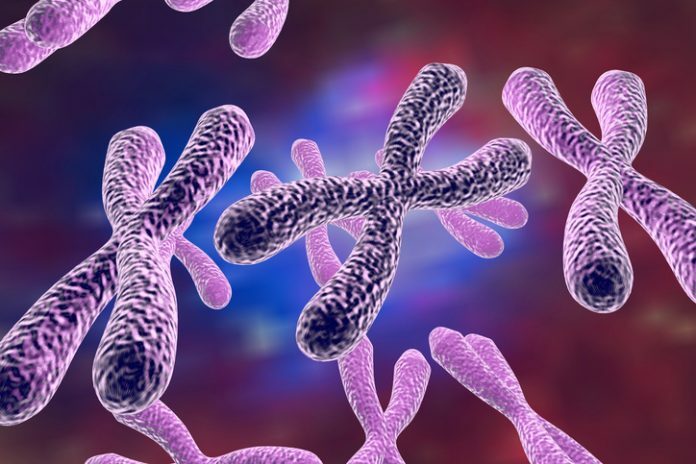 For each, researchers calculated a normalized chromosome denominator quality (NCDQ), which measures the likelihood that a sample has the standard two copies of each chromosome. Those with an NCDQ of 50 or below were flagged for further evaluation. In the U.S. cohort, 328 (0.45 percent) samples were flagged and ultimately classified as abnormal. In the Australian cohort, 71 (0.42 percent) samples were deemed abnormal, 60 of which contained a rare trisomy. Trisomy 7 was observed most frequently in both study cohorts, followed by trisomies 15, 16 and 22. Pregnancy and other outcome data were available for 52 of the 60 cases of rare trisomies found in the Australian cohort. Notably, researchers linked 22 samples with early miscarriage (occurring before 11 or 12 weeks gestation), including 13 of 14 samples with trisomy 15 and 3 of 5 samples with trisomy 22.